It’s planner season, friends!! Summer is coming, and those of us who want a planner that tracks the academic year are in for a treat – many new releases are happening this week! 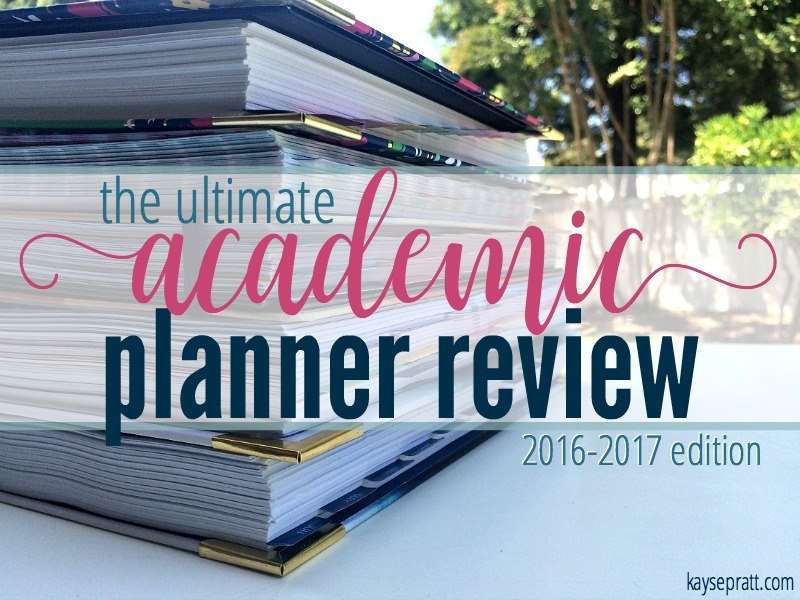 I’ve previously done a yearly planner review, but this is the first that is geared toward Academic Planners. And just to clarify, what I mean by “Academic Planner” is simply a planner that begins in the summer and follows the academic year. 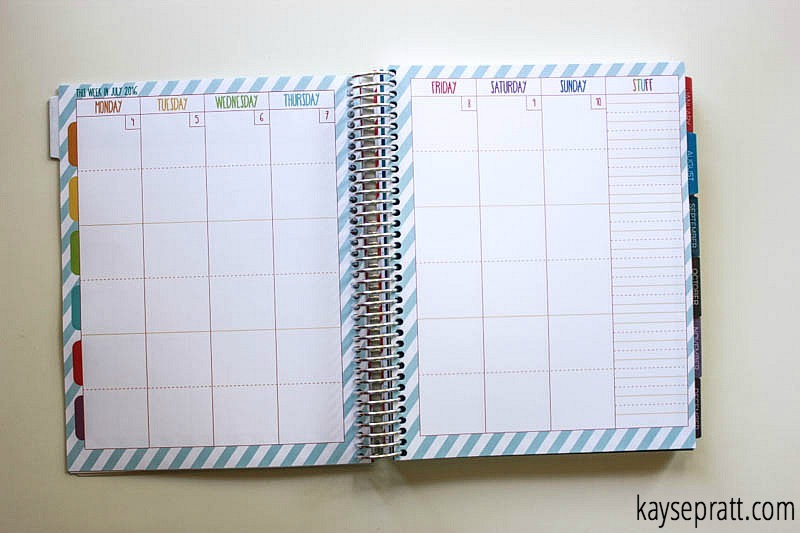 Perfect for moms whose lives revolve around the kids’ school calendar. And perfect for teachers or students alike! And in this post, I’ve got something for each of you! I’ll be reviewing some of today’s most popular planners. I’ll share photos, my thorough reviews, and a quick reference guide at the end. My hope is that by the end of this post, you’ll be able to decide on the planner that fits your life & family best! Tons of options in the shop for an additional purchase. Planner bands, pineapple paperclips, bookmarks, and more. Washi tape and gorgeous pens coming soon! The idea behind the Simplified Planner is just that – SIMPLIFY. It’s beautiful and simple and straightforward. There’s a lot of white space because Emily Ley, the creator of the SP, understands that as moms, we don’t need more things to do – we need a place to keep the important things important. It’s no secret that I adore this planner. It’s what I’m using right now, and what I always come back to. I love that it helps me simplify and focus, and that I don’t spend a lot of time filling out pages I might never use again. 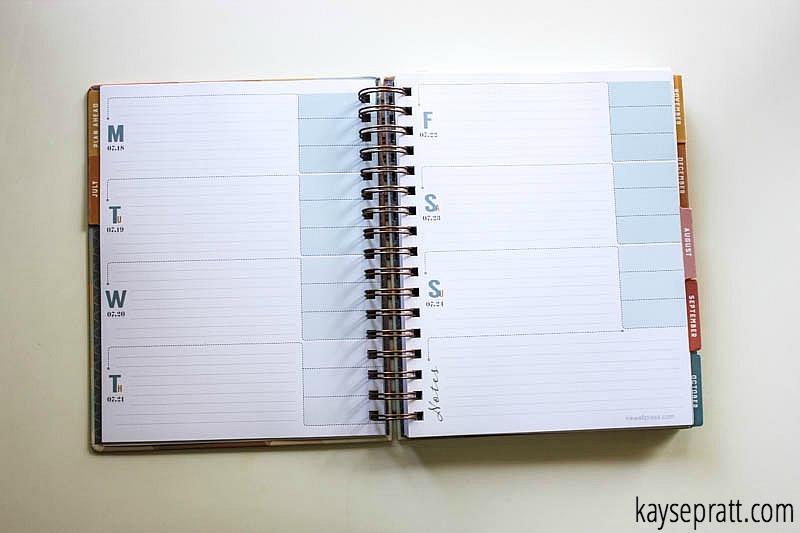 This planner truly helps me structure my day, get things done, and enjoy my family. I love it. Moms looking to simplify their lives. Women needing the structure of a routine. 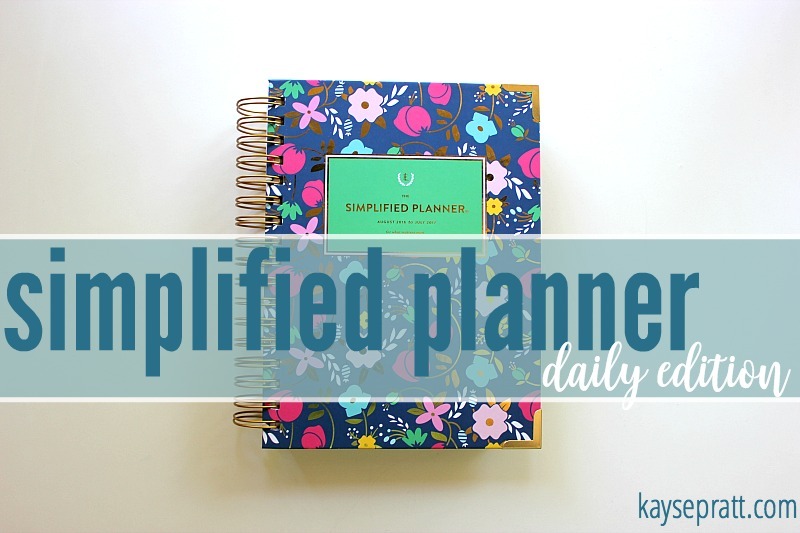 PURCHASE THE DAILY SIMPLIFIED PLANNER HERE! This is a totally new style for the SP! The binding lays completely flat, which is amazing. I want to write in this book all the time! The absence of coils just gives you so much more space. I love that they included a ribbon bookmark as well. Plus? The cover seems very easy to keep clean – just wipes right off! This is important in a home with small children. I’m really digging this planner! I love the way the days are divided (see picture above), because when I used a weekly planner in the past, I spent a lot of time creating this layout with washi tape. Now? It’s already done for me! This planner is smaller than the Daily, making it super easy to slip in my purse. I’m in love. Students who don’t need a daily layout. 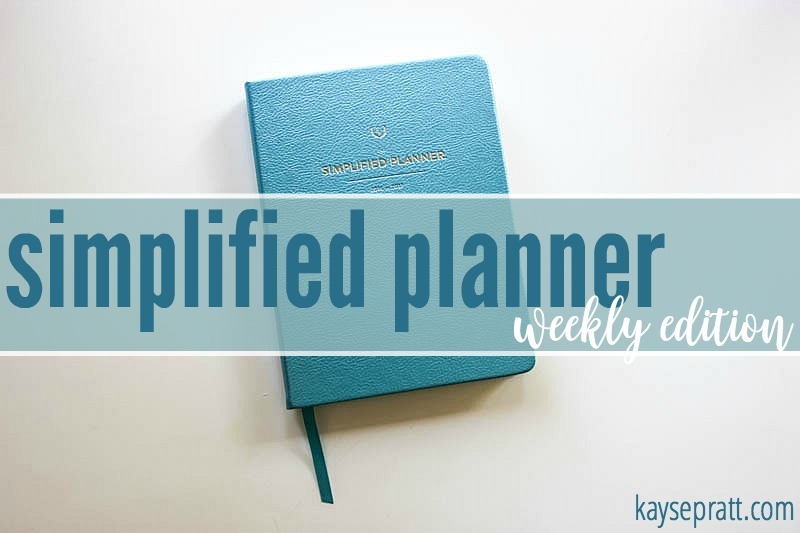 PURCHASE THE WEEKLY SIMPLIFIED PLANNER HERE! Extras: Accessories like planner bands available for purchase in the shop! I love this planner! My make-all-the-lists personality just eats this up. I’ll sometimes go back and forth between using my Purposeful Planner & my Simplified Planner, depending on how busy I am. If I have a need to jot down more notes and keep track of more things, I go with the PP. 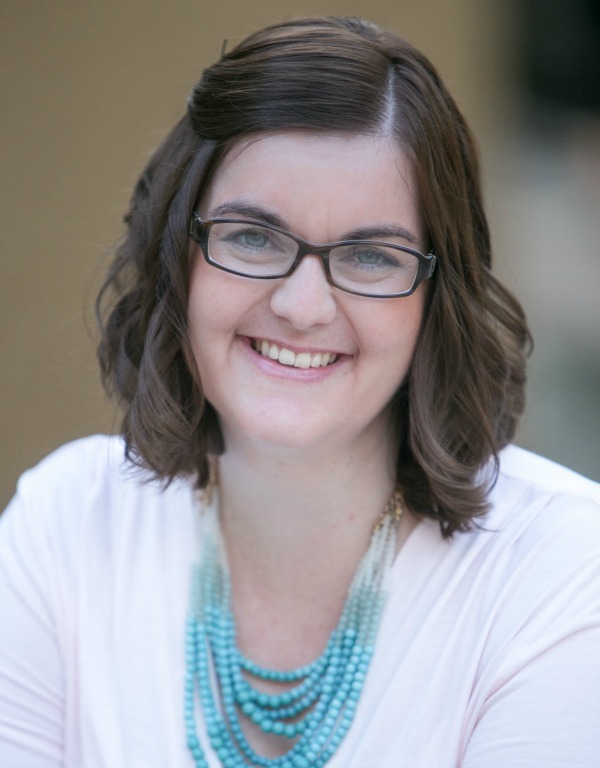 It’s really awesome for busy, productive mommas! Busy moms trying to juggle a lot of things – fitness, shopping, house work, kids, and more! Women who love having everything all in one place. 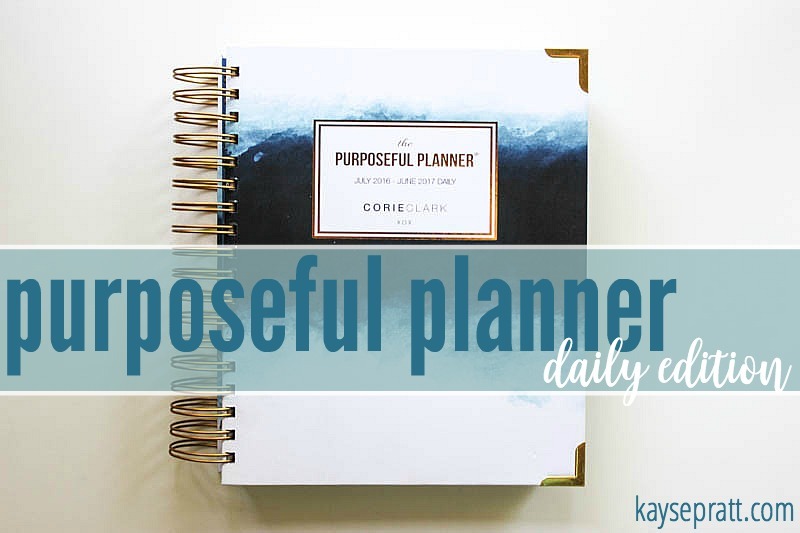 PURCHASE THE PURPOSEFUL PLANNER HERE! All weekly, but with MANY different layout options! Cover: Tons of choices, all customizable. 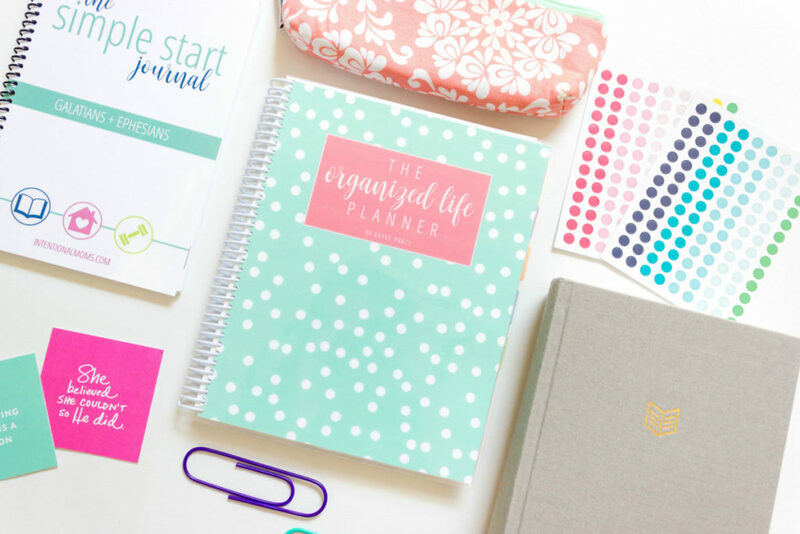 Limelife Planners are totally customizable, and they have a ton of options for add-ons. Pages for budgeting, checklists, projects, fitness, direct sales, photographer, social media, meal planning – all available for purchase as an add-on. Stickers, washi, stamps, & more in the shop! This may be the most customizable planner on the market. I haven’t seen another with as many options! There are 15 different cover options, 5 different layouts, 13 different add-on possibilities, and 3 different ways you can order the planner – coiled, 3-hole punched, or in the A5 size. Pretty incredible! Also, their paper is to die for. Seriously. Fans of Erin Condren who are looking for a little more customization with add-ons & layouts. Anyone. Really. This planner can be customized to whatever you want it to be. 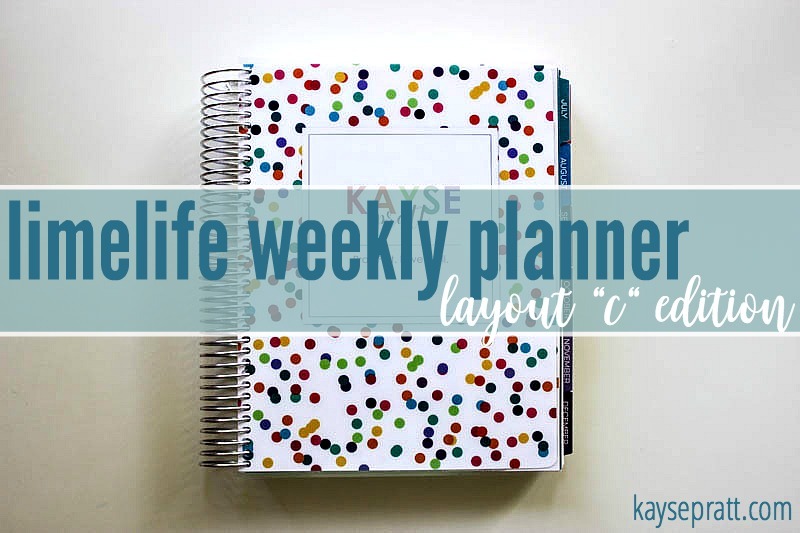 PURCHASE THE LIMELIFE PLANNER HERE! Weekly, divided into sections for classes/subjects. Cover: Easy to customize with name/quote/etc. 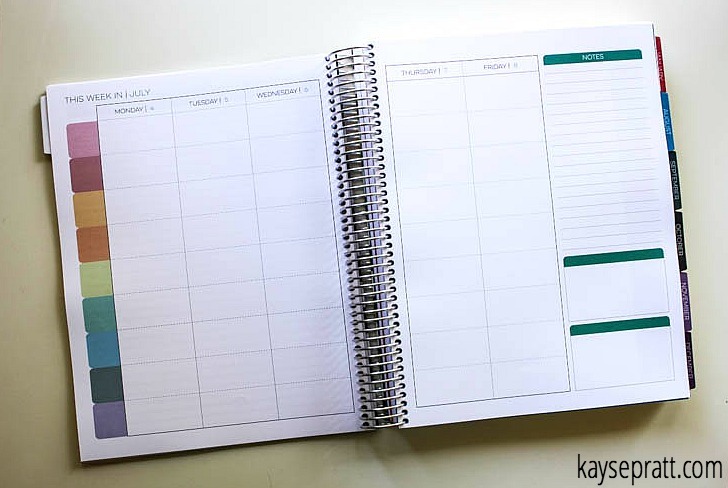 All of the customizations available for the original daily planner are also available for this one. (Read above.) But overall, this is a little more simple, but also bright and fun! 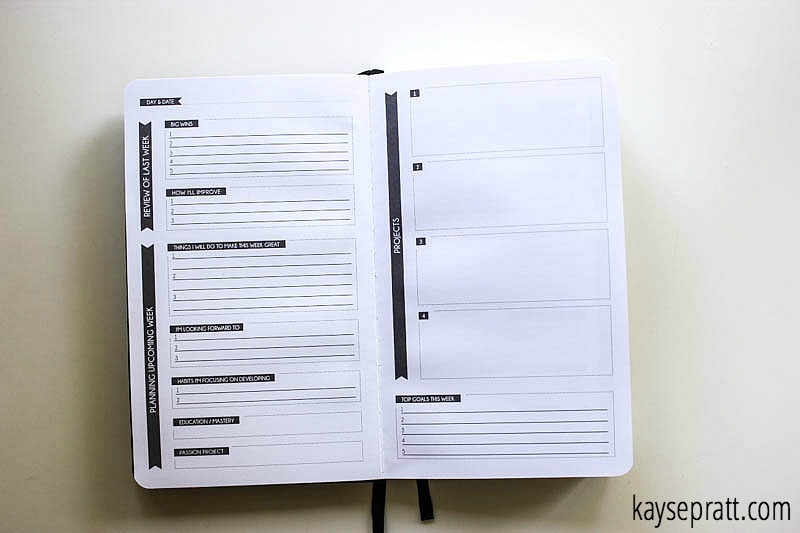 This is an IDEAL student planner! I’m actually going to let Emily use it to keep track of schoolwork and books she is reading. It’s fun, bright, and perfect for any age (in my opinion) from elementary to college. I love it! 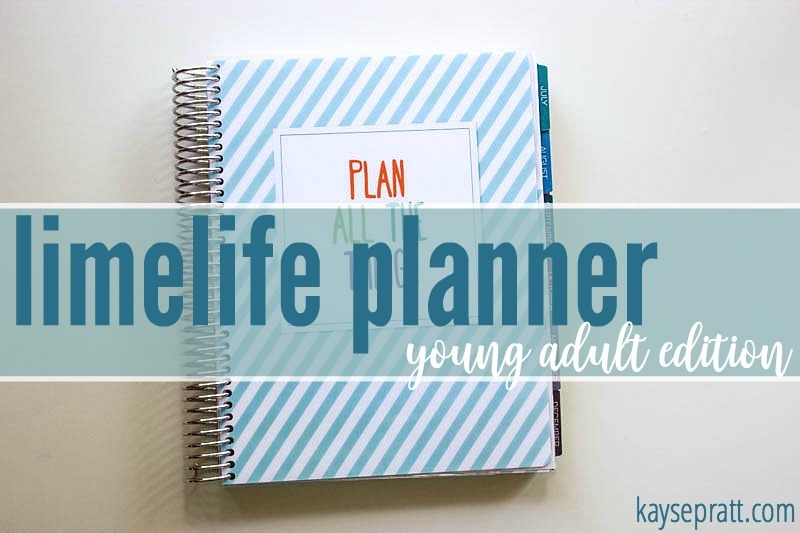 PURCHASE THE LIMELIFE YOUNG ADULT PLANNER HERE! 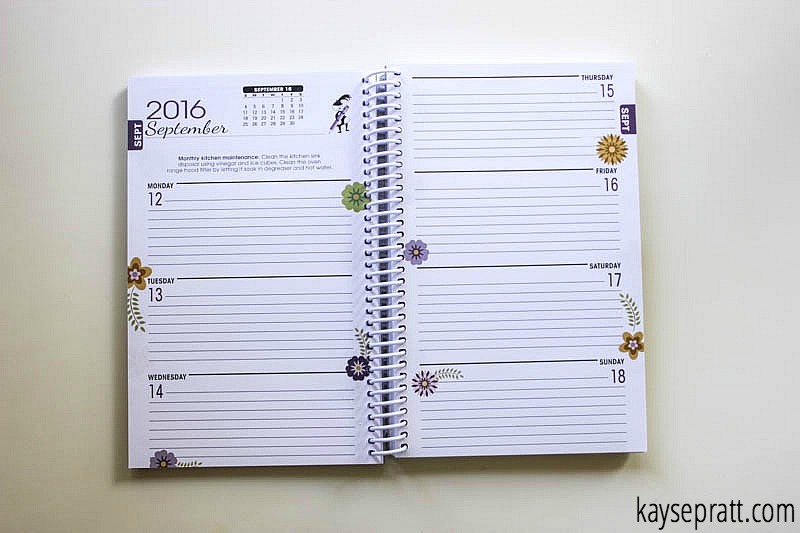 This planner is identical to their traditional year planner, it just starts in July. It’s got all the same features, and two of the cover options. Paper is gorgeous, cover holds up well! And there’s a built in stretchy band to hold it all together. I love that! This is a super popular planner, and it’s not hard to see why. It’s high quality, and contains a ton of different sections! I’ve used it myself in the last (I prefer the vertical layout! ), and I just struggle with ONLY a weekly layout – there’s not enough room for me to write out everything I need for my day. (Same for the sections, actually. I just need more space, myself!) But if you’re a weekly girl, this might be the one for you! Cover: Hardbound black leatherette with strap. 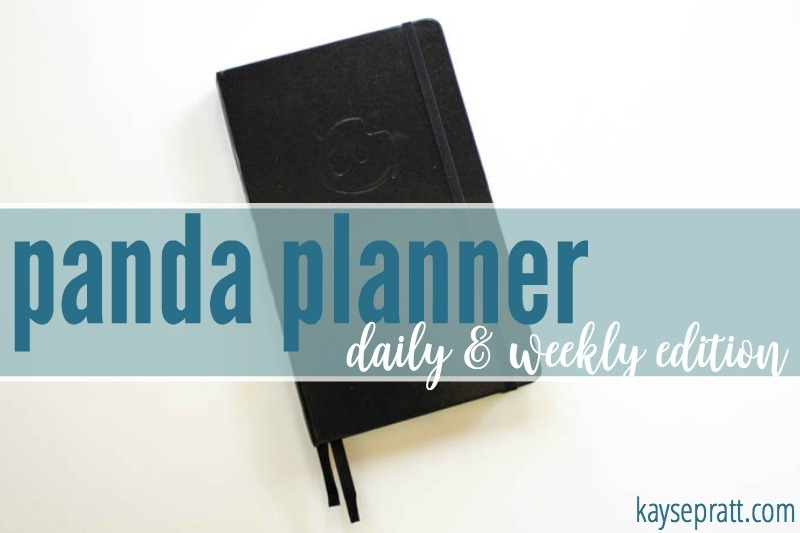 The Panda Planner is new to me, and it’s a totally different kind of planner! It’s really geared toward productivity & self-reflection. It’s all undated, so you can start it anytime, and there are 3 sections – the monthly, weekly, & daily review. The monthly review is simply a monthly calendar. The weekly and daily reviews are where you get into the meat of the planner. The weekly review asks key questions for you to consider as you’re reviewing the last week & planning the upcoming week. Then it gives space to outline your projects and goals for the week. In the daily review, you’ve got a 2-page spread covering a lot of topics – gratitude, focus, exercise, priorities, schedule, tasks, and more. I love the creativity behind this planner, and how project oriented it is. I also love the fact that it’s undated, because you will never waste space. Forget to write out your plans one day? No skipping pages, just turn to the next page and keep going! It’s a bit like a journal, project guide, and planner, all in one! I think there are more sections on the daily and weekly review than I’d actually end up using, but it’s perfect for anyone who is very detail-oriented. PURCHASE THE PANDA PLANNER HERE! There’s also a faith-based version of this planner! Sold HERE. While the monthly and weekly spread are your basic planner layout, the beauty of this planner comes in the first few sections. 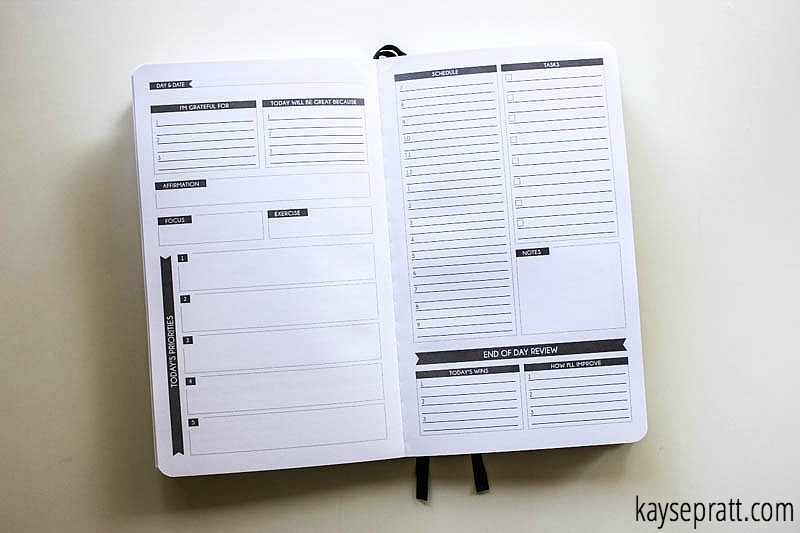 It’s a little bit like a home management notebook and planner all rolled into one! The name of this planner suits it well. The first few sections really give a mom a space to compile all important information, along with a list of tools that she can refer to at any time! I love how much information this tiny book contains. And along those lines – it’s small enough to fit into my purse. Win! A busy mom who enjoys a simpler planning style while accessing important household info at all times. Women with less to write down each day. 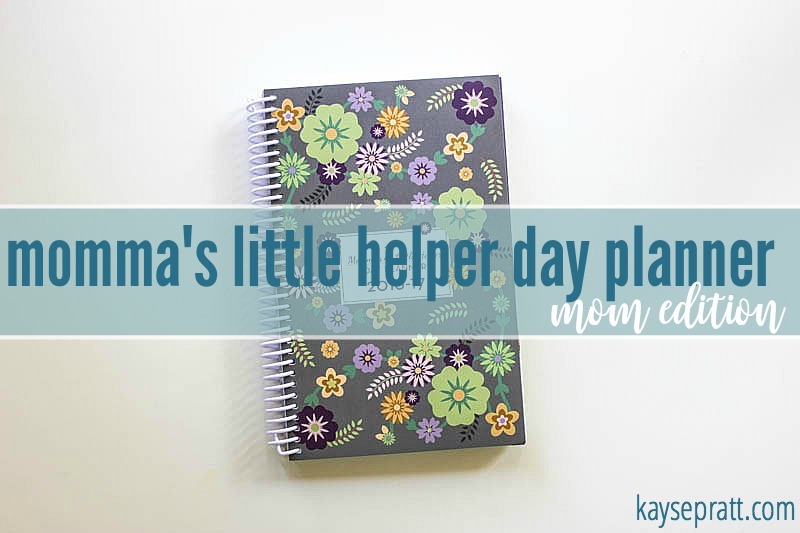 PURCHASE THE MOMMA’S LITTLE HELPER PLANNER HERE! Cover: 5 gorgeous covers to choose from – all customizable! There are quite a few add-ons in the shop – you can add checklist pages, gradebook pages, IEP reference pages, & meal planning pages! This planner is made for homeschoolers, but Limelife also offers a Teacher Planner for classroom teachers. These planners are HIGH quality, and if you’re a teacher, I say you should run and get one right this second. Also, I’ve seen quite a few complaints about the removable cover on a different popular teacher planner, and I’m HAPPY to share that this cover is not removable! It should withstand the whole year. Also don’t get overzealous with your add-ons. Lol. I added on checklist pages (which are amazing), and the planner is just a little too thick now. BUT, I’m planning to remove some attendance pages that I don’t need, and that should work just fine! I seriously love this planner. I’ve been in the process of making my own printable homeschool planner, and this was just such a wonderful surprise. The only thing I wish it had (at this point) was lines in each box in my layout. But I LOVE the layout I chose (Layout I) because it has room for a lot of subjects PLUS space for notes each week. I need that. I cannot wait to start using this in July!! All homeschooling moms. Everywhere. Seriously. Classroom teachers will equally love the teacher planner! 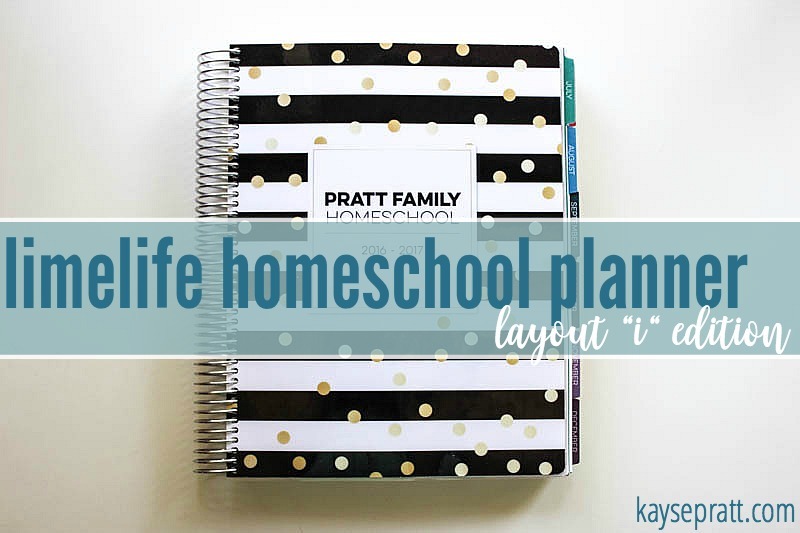 PURCHASE THE LIMELIFE HOMESCHOOL PLANNER HERE! PHEW! You guys. That was a LOT of planners. Was it a little too much for you? Check out this quick and easy planner-at-a-glance chart I made for us! 1. 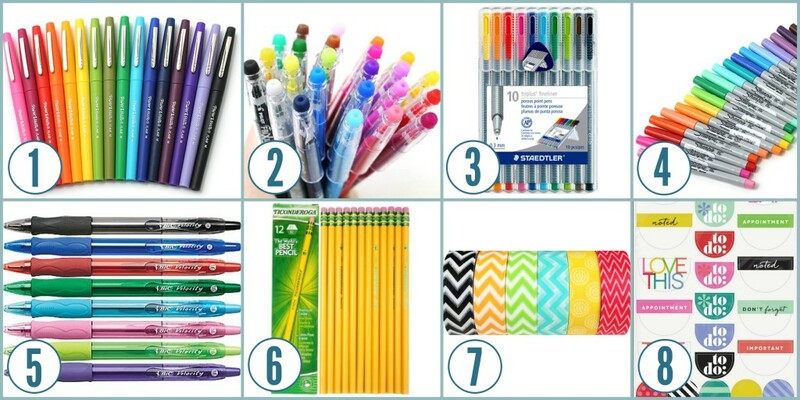 Papermate Flair Pens – I love these in regular tip and fine point! 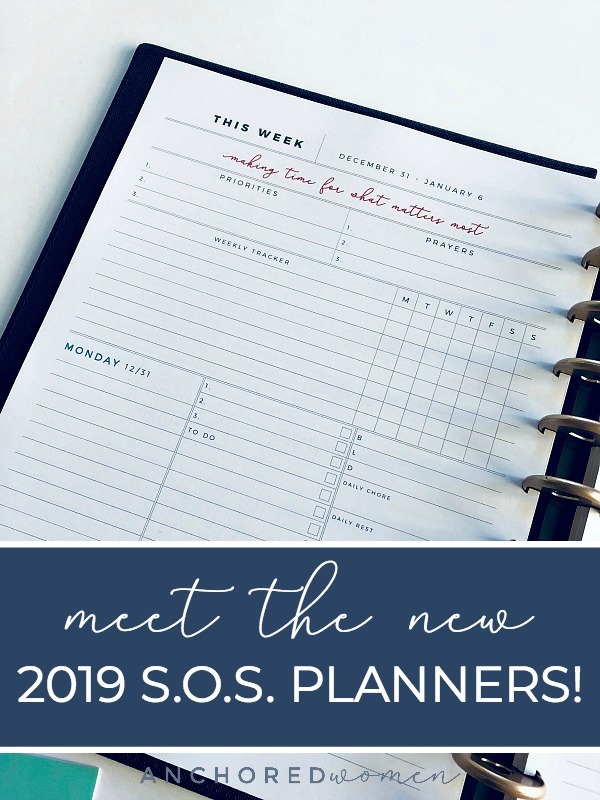 They are my absolute favorite for planning – I use them in my daily planner, my meal planner, and anything else I have an excuse to write on. 2. Frixion Erasable Pens – I use these mainly in my Bible, but they are great for planning too. They erase beautifully, and I love how they don’t bleed. Win-win! 3. Staedler Fine Point Pens – I’m starting to love these as a close second to my fine point Flairs. These are pretty great pens! 4. Sharpie Fine Point – I always use these to write in cards. Somehow, my handwriting looks prettier in a Sharpie. I have no idea why this is, but I’m not complaining. 5. Velocity Ball Point Pens – My favorite everyday pens. I love them. They just feel good to write with! 6. Ticonderoga Pencils – It’s the teacher in me, but these are just the only pencils worth anything. I use them for homeschooling stuff, and have a pack for Emily. They have them in chunky size for little hands, or regular size for us normal-handed people. 7. Washi Tape – Washi helps make your planner your own. Create new sections, decorate for holidays, do whatever you want, because WASHI!!! If you found this review helpful, would you share it with a friend? You can either use the buttons below to share on Facebook or simply pin this image! **PLEASE NOTE: There are more planners on the market than just these. However, I wholeheartedly believe the planners above are outstanding & I highly recommend them! « The #1 most overlooked mom hack! I LOVE this article! 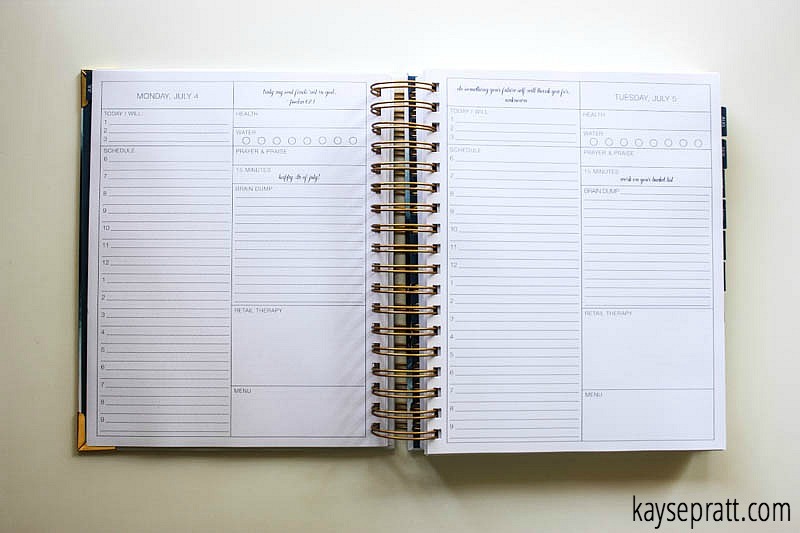 For far too long I have been trying to find the “perfect” catch-all planner and I feel that you do an awesome job at reviewing all the different options, but I have to say your Organized Life Planner takes the cake! I can’t wait to put mine together! I just had one question, I have an HP DeskJet printer – are there any certain settings I should use to make sure it doesn’t smear if I use the HP 120gsm Matte Presentation Paper you suggested using for printing? Thanks in advance! Hi Ashley! I am so glad you like the planner! I don’t know all the ins and outs of every printer, and I don’t want to advise you incorrectly, so I’d try a few pages first, before printing the whole thing! I hope that helps! Yay, my favorite Limelife planner made it!! So glad you liked it!! I’m adding a new version, the a5 punched into my ring binder. I think I’ll feel better if I have a version of my planner that I can take with me in my bag. No, not my purse, but in my tote. My coil version will stay at work. I enjoy all your posts, but especially the planner reviews. You do a great job. Kayse, I love your planner reviews. Last year I bought the Inkwell Press planner and while I love some of the features and aspects, I’ve realized it’s not the planner for me. I’m thinking of trying the Emily Ley Simplified Planner, but I’m wondering how the paper compares to the Inkwell Press planner. I love the paper weight of the IP planner and I would love to find this paper in another planner. Thank you for such a thorough breakdown! All those planners look great. I’m using a planner called The Day Designer, by Whitney English. Have you ever heard of/used that? It’s very similar to the Simplified Planner. I would be curious what your thoughts are on The Day Designer if you get a chance to review it! I have! I actually have a Day Designer to add to this post soon – I’ll send out an email when I update! Have you seen The Planner Pad? That’s what I use. 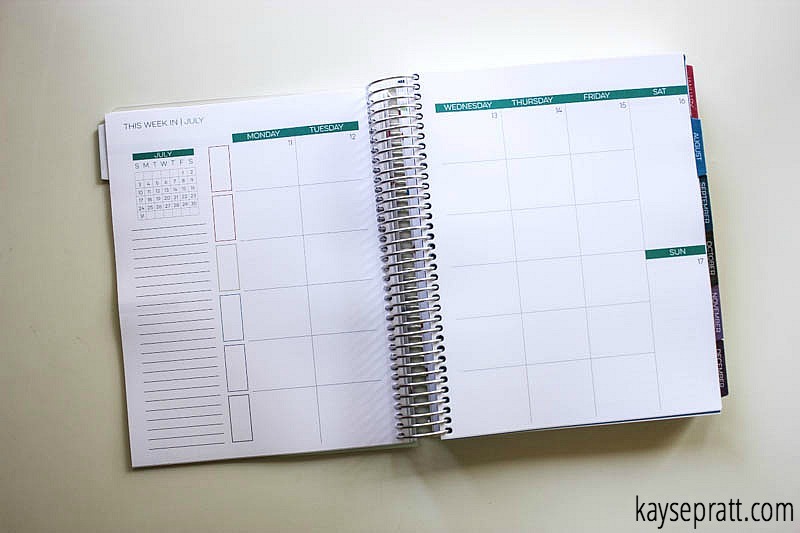 It has 3 main sections on each week – one to write your tasks by category (home, phone calls, errands, etc – you pick), one to then schedule those tasks to specific days, and one for time blocks to get the tasks done or write appointments. I’m so much more productive when I write and schedule time to do everything. I can tell the days when I don’t write stuff down – feels like nothing was accomplished. I also like that each day has a fun block – not Saturday and Sunday smooshed into one block. You can start the calendar quarterly – Jan, April, July or October. They are not overly fancy or pretty, but there are some nice classy looking covers. Too bad. I thought a “fun block” sounded -well- fun! 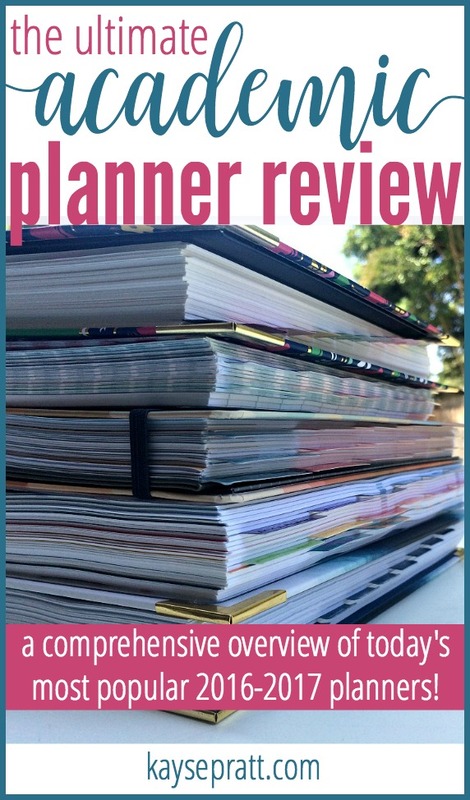 Did you ever write that post about how you use your Erin Condren as a blog planner? 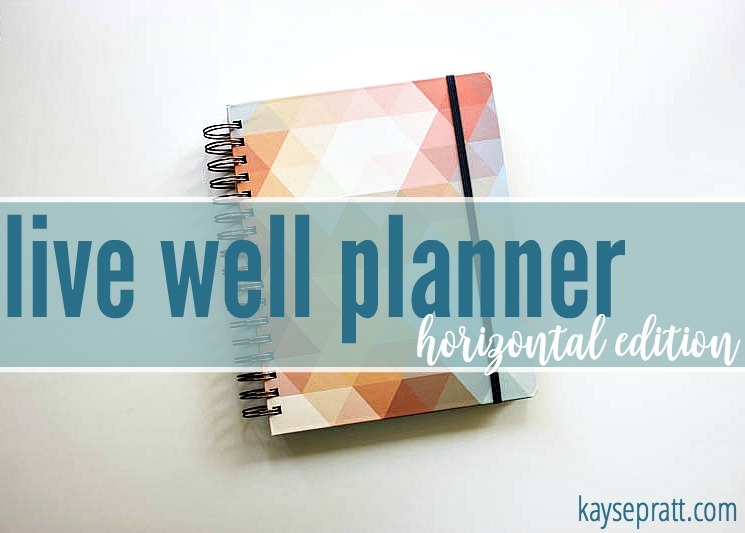 LIVE WELL planner is actually a INKWELL planner. Figured you might want to correct it. Actually, it IS called the Live Well Planner, made by Inkwell Press. 🙂 But thanks! A planner I just learned about and ordered, they have yearly and academic styles as well, is the Start Planner. I saw the add on Facebook and had to check it out. It can be purchased in either weekly, daily, or a binder format. I purchased the binder format which comes with all of their inserts and you customize it to the inserts you want.  They are shipping out on May 16th and I am excited to get mine and check it out… see what all the excitement is about it. Maybe you can look into it too and include it in your reviews! I have seen that one! Looking into it a little more now! Great review! I can’t wait to pick one (or more) up! 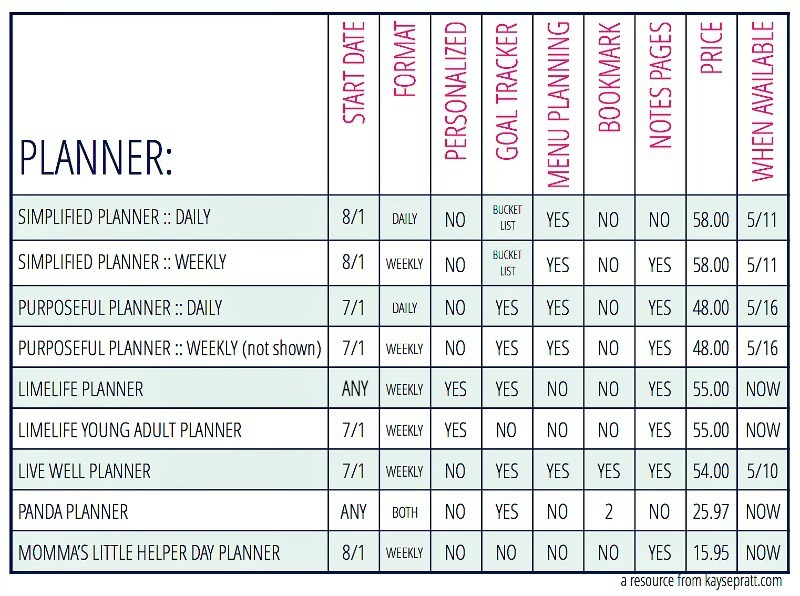 We are homeschooling for Kindergarten next year, too, so I definitely want to get the LimeLife planner. And your pen obsession makes me so happy. Ultra-Fine Point Sharpies are my JAM, but I need to check out your Flairs for something that doesn’t bleed. Thanks for all the info, friend! Girl, you are amazing! Thank you for this! 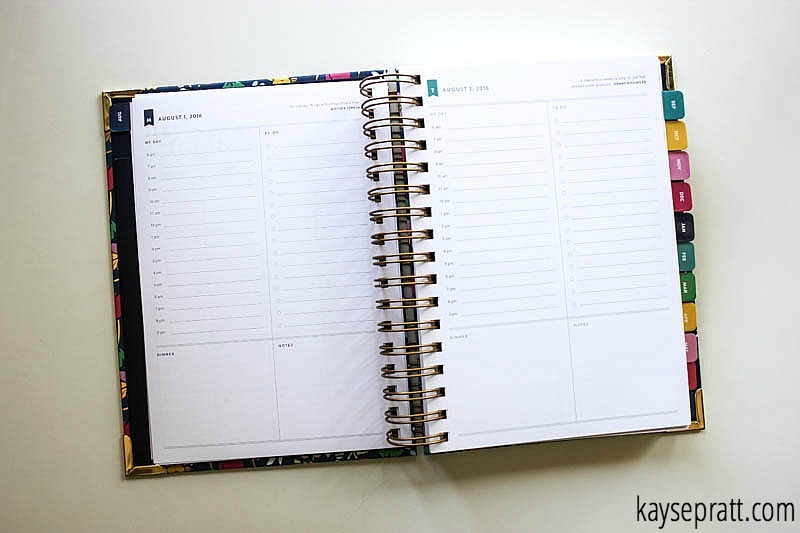 I’ve been using an Erin Condren Life Planner for four years, and I really do love it. I’m a sucker for heavy-duty paper and a planner that can take a beating, and Erin Condren makes that happen. However, I’m now in need of a daily planner, so if Erin Condren doesn’t launch one this year, I might have to consider another option. 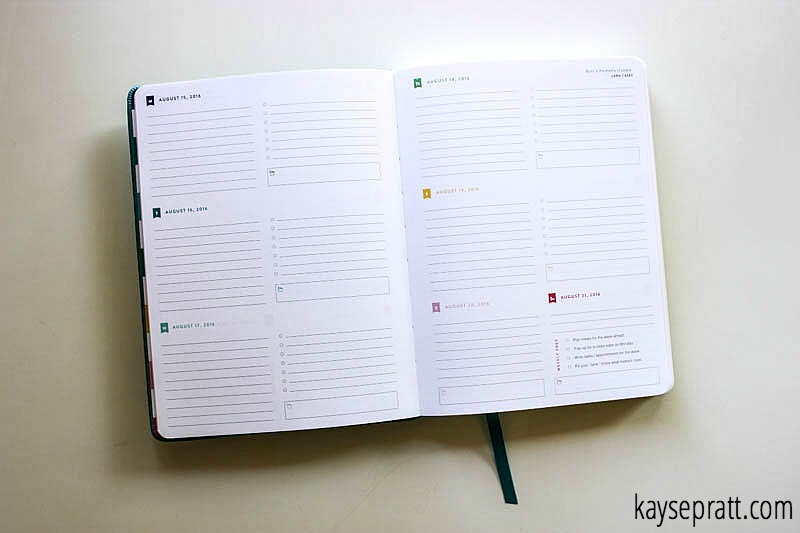 I actually ordered a daily Simplified Planner to try this year but the paper is too thin and it didn’t seem to stand up to going from desk to purse to car to desk without noticeable wear & tear. I need more tough, less pretty LOL! Loved the daily layout, though. I’m off to check out the Limelife Planners. That might be a happy combination for me! Thank you! The new Simplified Planner has brand new paper (they are working with a new company), and it’s definitely thicker than last year! I adore the new one! !